Cover: (4/1972) picture sleeve front and back. 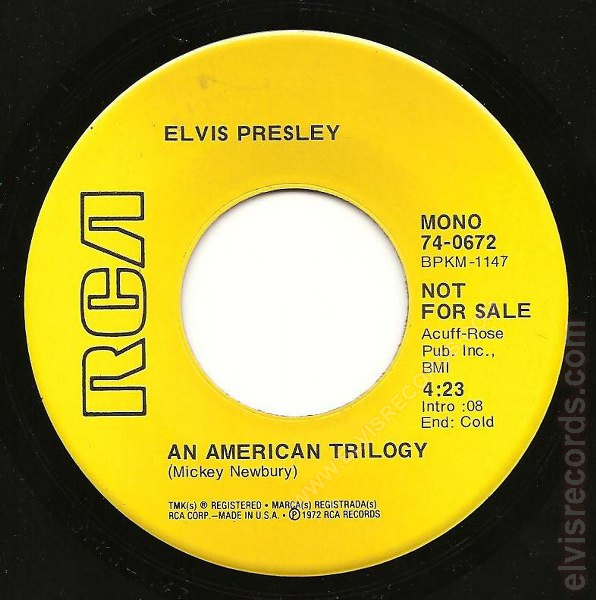 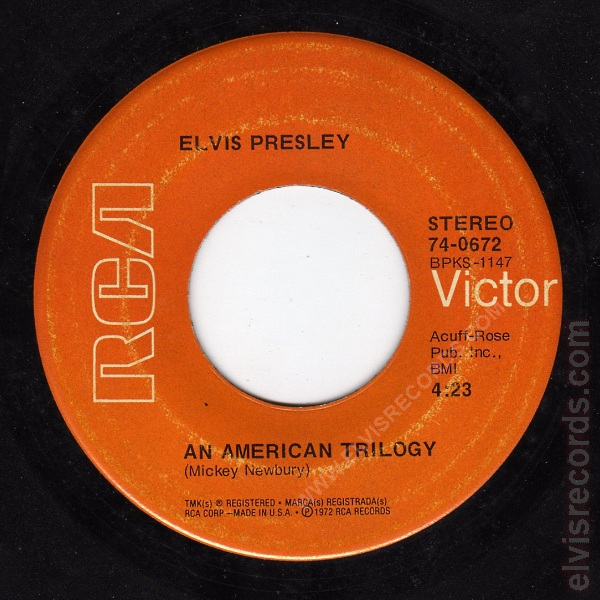 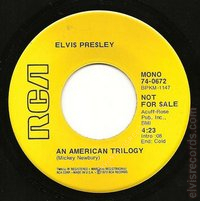 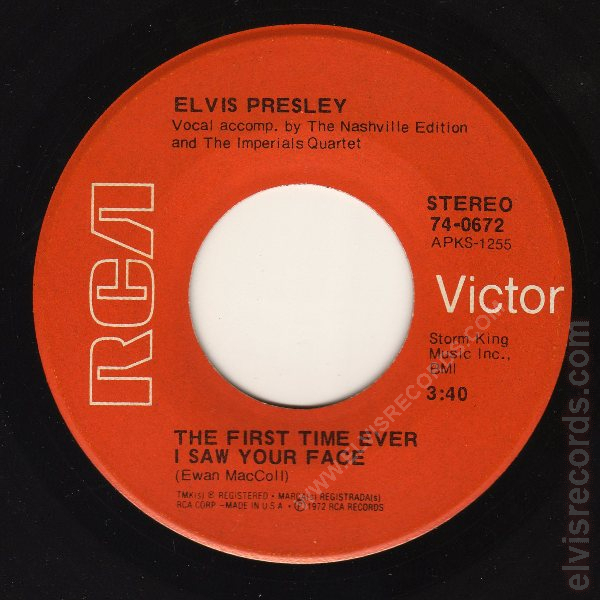 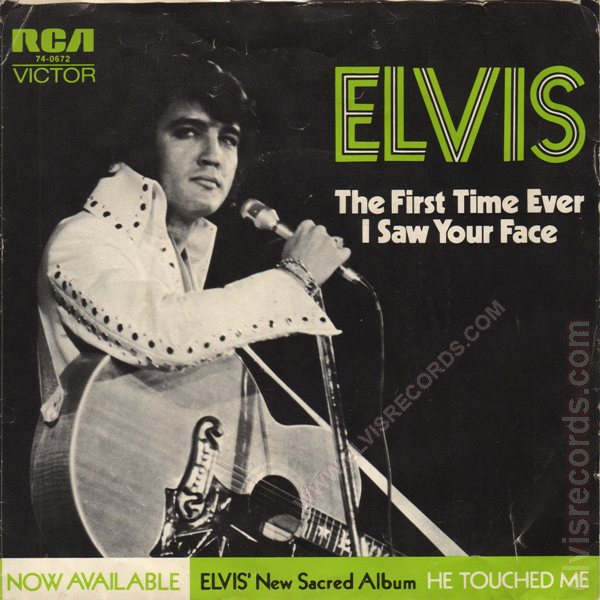 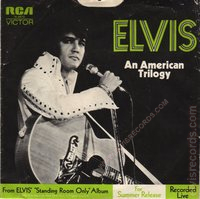 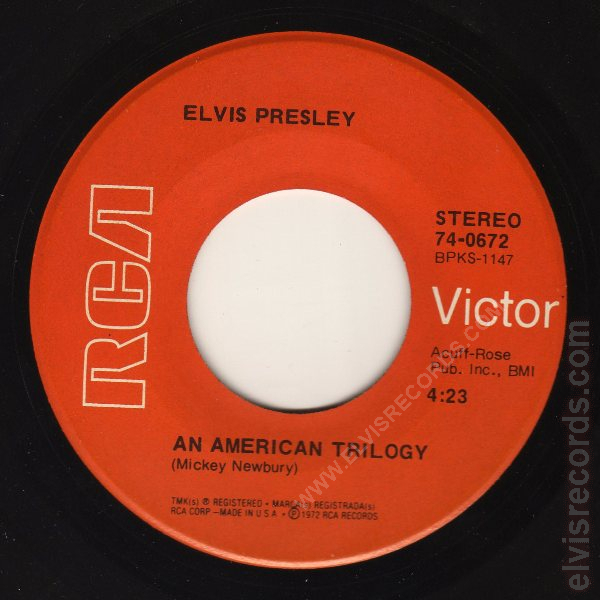 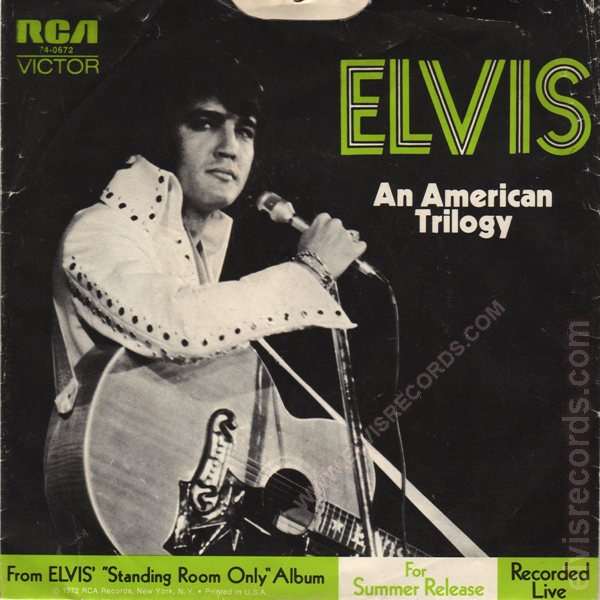 From ELVIS' "Standing Room Only" Album for summer release is the advertisement in the bottom strip of the cover for the song An American Trilogy. 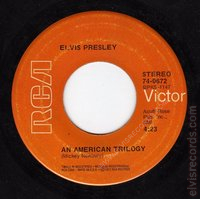 This album was not released until 37 years later, in 2009 by Follow That Dream ("FTD") Records. 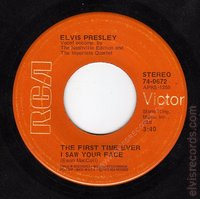 Disc: (4/1972) Orange label. On the THE FIRST TIME EVER I SAW YOUR FACE side, Vocal accomp. 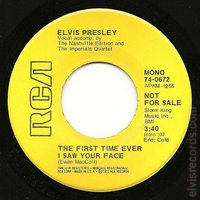 by The Nashville Edition on one line. On the AN AMERICAN TRILOGY side, Pub. 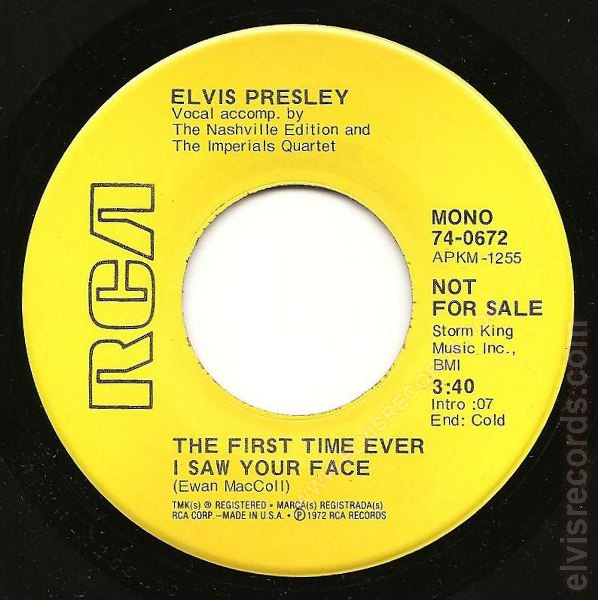 Inc., BMI on shared line.